Nanotechnology research efforts at Houston-based Rice University have contributed to the development of a fracking proppant that will optimize production from unconventional oil and gas wells. Technological advances in hydraulic fracturing have allowed producers to access shale gas. This process requires the use of proppants such as grains of sand, ceramic or other particulates, to prevent the fractures created in hydraulic fracturing from closing when the injection is stopped. However, current proppants used in hydraulic fracturing limit the depths at which wells can drilled, and the chemicals used have raised concerns about their impact on local water supplies and the environment. "Most proppants are either hard and heavy or soft and light," said Dr. Andrew Barron, Welch chair of chemistry and professor of materials science at Rice. "Present technology is defined by the hardness/weight relationship; we need to think outside the norm." Nanotechnology research at Rice's Richard E. Smalley Institute for Nanoscale Science and Technology contributed to the development of OxBall and OxFrac, which are light, high strength ceramic proppants developed by Oxane Materials Inc., an energy-focused nanoproducts company. OxBall is now being used commercially, while OxFrac is in final scale up development, with sales scheduled to begin this year. To date, OxBall has been utilized in the drilling of more than eight wells; the results of these wells have been very promising. The first batch of OxBall was manufactured at a 300,000 square foot plant in Van Buren, Arkansas, with an initial production of 20 million lbs/year; this production will be scaled up to 80 million lbs/year. OxBall is being utilized to enhance production flow from the deeper Haynesville and Eagle Ford plays; it is thought that OxFrac will be primarily used on the Barnett shale play. The company was formed through a nanotechnology venture forum through the Rice Alliance for Technology and Entrepreneurship. The alliance, started in 1999, supports entrepreneurs and early-stage technology ventures in Houston and Texas through education, collaboration and research. The group has assisted in the launch of over 225 technology companies that have raised more than $500 million in funding. The need to enhance gas production flow will be critical as the decline curve in shale wells is more dramatic than in conventional oil and gas wells, meaning that more shale wells are needed to maintain production from shale gas resources. Stronger proppants are needed to boost production and allow deeper wells to be drilled. Environmental concerns over hydraulic fracturing, which has led to new legislation in Texas and other states requiring producers to disclose fracturing chemicals, has created the need for ceramic processing of proppants that is more benign. Barron said the ideal proppant is mono-dispersed, which allows for enhanced flow and packing; light for enhanced transportation; and round-shaped to enhance flow. The material in proppants needs to have strength and depth will allowing proppants to get into the rock. While fracking sand is cheap, the variance in the shape of the particles can prevent flowback from coming through evenly. Barron used the example of a bucket filled with ping pong balls, since the balls are all the same shape, the water flows evenly. "If the particles are different sizes, as often is the case with fracking sands, the dispersant slows. 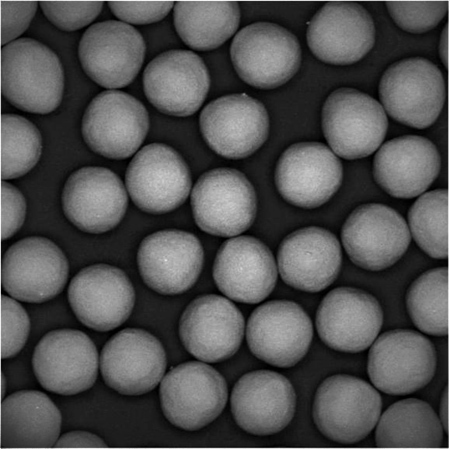 Developing proppant with particles consistently the same shape allows for better flow." The application of nanotechnology within the oil and gas industry is part of the institute's mission to solve humanity's most pressing problems through the application of nanotechnology. During 2002 and 2003, Professor Richard E. Smalley developed a list of the Top Ten Problems Facing Humanity over the Next 50 Years. Five of these problems have been identified as Grand Challenges, including energy, water, environment, disease and education. The faculty researchers of the Smalley Institute use a variety of nanotechnology approaches to significantly impact these Grand Challenges.